Judithe Hernández, Reina de la Primavera, 1974. Serigraph. 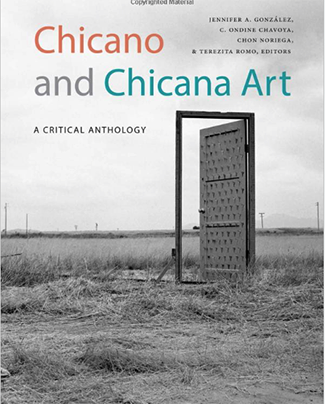 Designed to be an introductory teaching collection, the book is comprised of a diverse selection of thematically organized essays by leading scholars, tracing the development of Chicano/a art from its early role in the Chicano civil rights movement to its mainstream acceptance in American art institutions. González served as chief editor for the 552-page book, just published in February by Duke University Press, in collaboration with co-editors Ondine Chavoya, Chon Noriega and Tere Romo. The essays in the book address a number of themes, including the politics of border life, public art practices such as posters and murals, and feminist and queer artists' figurations of Chicano/a bodies. 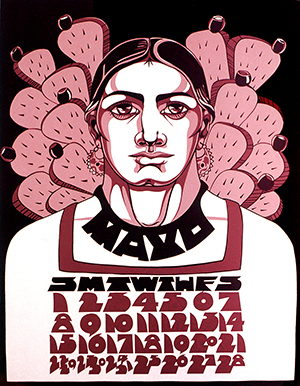 They also cover the many cultural and artistic influences, ranging from American graffiti and Mexican pre-Columbian spirituality to pop art and modernism, that have informed Chicano/a art's practice. 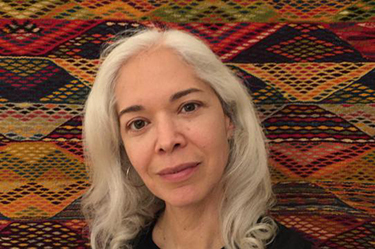 “We hope this anthology will draw the interest of students of Chicana/o history and culture, as well as art theorists and visual studies scholars who practice in a field that has, until relatively recently, generally ignored the contribution of Chicana/o art to American and contemporary art history.